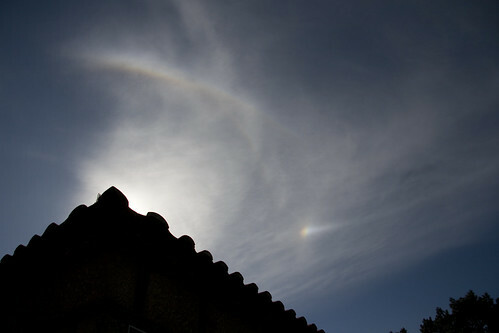 I posted about the wonderful solar halo display over Porto last autumn. Of course I sent my photos to atoptics and got an excited response that I may have captured a rather rare display. After much analysis of my large set of photos the good news is that indeed I was lucky enough to see a full display of Lowitz arcs. The pictures and description are up online at atoptics now as the picture of the day.